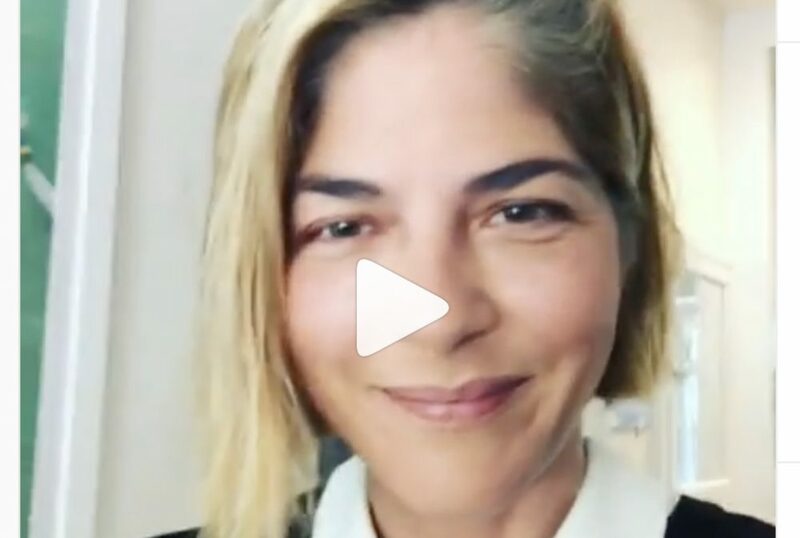 Selma Blair has been extremely candid about living with multiple sclerosis (MS) in recent months. In February, she walked the red carpet for the first time since her diagnosis, looking glamorous with a customized cane and a gorgeous multi-colored gown. Days later, she gave an on-camera interview during a flare-up in order to shed light on what it’s like to live with MS. And most recently, the actress shared a lighthearted “MS makeup tutorial” to further normalize living with the condition. As the Mayo Clinic notes, MS can cause tremors and problems with coordination—among other symptoms—which can make it more difficult to do everyday tasks that require fine motor skills. In a March 31st Instagram video, Blair demonstrated how she gets ready for the day when experiencing symptoms. "Here is my solution to applying makeup with a lack of fine motor skills," she wrote in the video caption. "#laugh and feel free to reapply my makeup." The video shows Blair holding up a large, round makeup brush as she says, “People. Brush. Big. Bronzer.” She then swirls the brush around her face while giggling. "There," she concludes with a smile. "Done." We love that Blair is keeping things so real and using her platform to educate others about the daily realities of MS. We’re confident it will help so many others feel less alone on their journey.